Enda Kenny was an unlikely leader handed the reins of power during one of Ireland's most tumultuous economic upheavals. Dismissed by many early on as a lightweight, he arguably confounded critics by forging an international reputation for decisiveness with a ruthless instinct for political survival. The fitness fanatic and father-of-three's renowned energy and optimism made him, some say, the right man for the job at the time. Others accuse him of putting his own late-blossoming political ambition before the best interests of the country. The former national school teacher from Castlebar, Co Mayo, was first elected to the Dail - taking his late father's seat - in 1975. Despite a few years as Tourism Minister in the 1990s, his first quarter of a century in national politics was unremarkable. When he eventually stood for the leadership of Fine Gael in 2001, he vowed to electrify the party. It was quipped he was more likely to electrocute them, such was his relative obscurity and the party's dwindling relevance. In the event, he lost out to Michael Noonan, but with undoubted tenacity ran again to take control of the battered ranks after a disastrous showing at the polls a year later. Within a few more years - dramatic years, as Ireland was thrust from boom to bust - Kenny had rebuilt Fine Gael into a force that won trust among rising numbers of voters to clear up a mess presided over by their arch rivals Fianna Fail. Sweeping to victory in the 2011 general election - the country still reeling from an historic economic implosion - he grandiosely declared a democratic revolution. In reality, his resurgent party had to enter a coalition with Labour to take control. Rejecting his caricature as a lucky general, he set about stewarding Ireland back on track to recovery, with the help of an austerity road-map imposed by the International Monetary Fund, European Central Bank and the European Union troika. While never particularly popular at home, he forged a persona for himself overseas and soon saw himself in the role of international statesman. Alongside the headline "The Celtic Comeback", he became the first Irish leader since Sean Lemass to make the cover of Time magazine's European edition. By the end of 2013 he had freed Ireland from the shackles of its troika masters, officially exiting the humiliating international bailout programme. Like a phoenix from the ashes, the Irish economy became the fastest growing in Europe again and unemployment nose-dived. But many believe Kenny could have got a better deal from the bailout, which still leaves Irish taxpayers shouldering massive debts to cover speculators and investors after the banks collapsed. Convinced of his trajectory, he led his party again into the 2011 general election urging the country to "Keep the Recovery Going". Huge numbers, who weren't feeling any recovery but were still suffering from bruising austerity measures, turned against Fine Gael as well as Labour. The coalition was pummelled but Kenny kept his job. Proving once again his mettle as a political survivor, he offered Fianna Fail a once unthinkable "grand coalition" with his depleted ranks. After months of horse-trading, he agreed to lead a new minority government, propped up by the old enemy. An era of "new politics" was promised but in effect the tethered administration has been slow to make any changes. 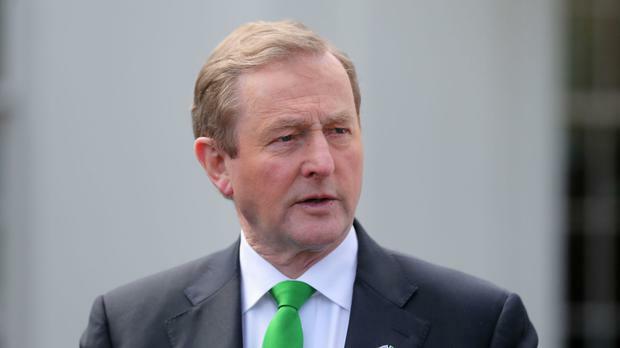 Nonetheless, Kenny achieved his ambition of being the longest serving Fine Gael Taoiseach and the only one re-elected. His unprecedented attack on the Vatican over clerical child abuse cover-ups will go down as a career highlight. He also claimed credit for helping swing the gay marriage referendum, which made headlines around the world. But his failure to get to grips with the depth of feeling at home on the imposition of water charges amid a welter of tax hikes and levies, the spiralling homelessness crisis as well as countless controversies which have rocked the Garda loom large over his premiership.